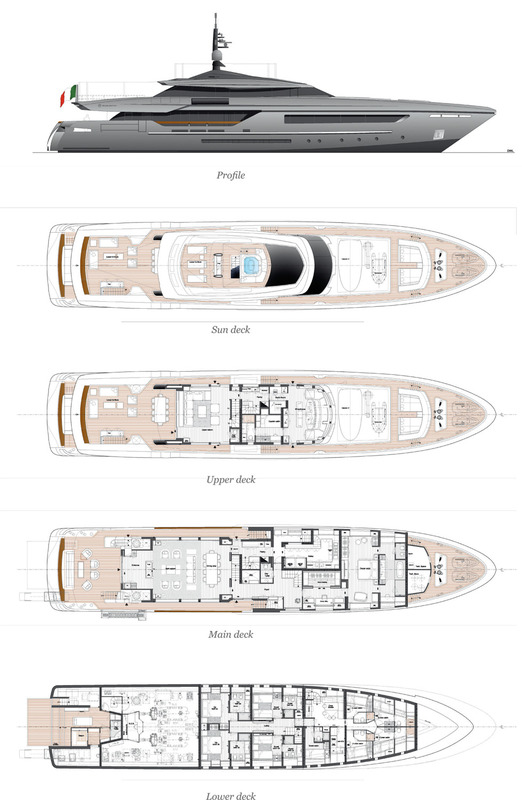 from 38m to 46m in length. 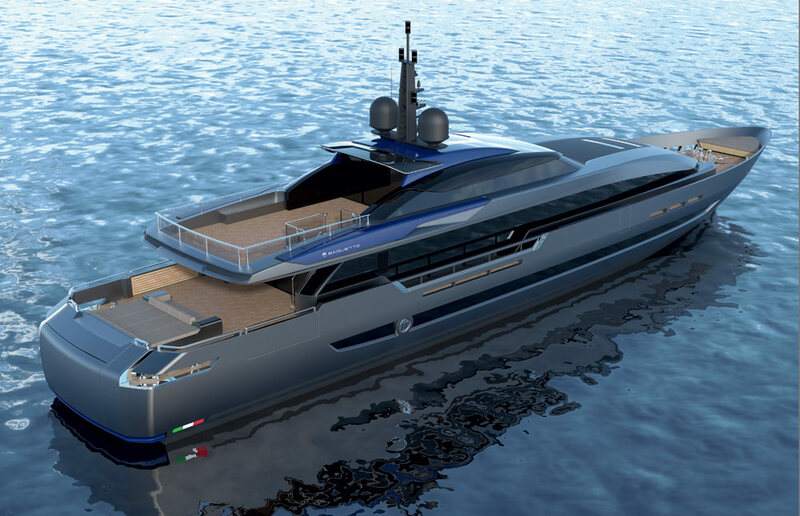 Like Lucky Me (below), the Baglietto 46m FAST launched in 2016, the 46m LONG RANGE sports lower bulwarks, bigger windows and significantly larger volumes. 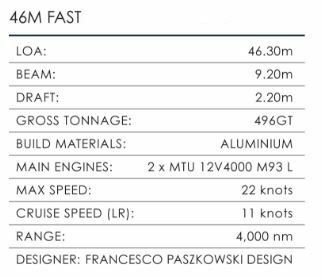 But as her name suggests, she also combines speed and comfort with extra fuel capacity to increase her range at cruising speed to a remarkable 4,000nm. 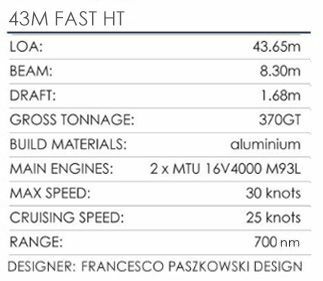 The 43m FAST HT displays all the same styling cues as her larger sister (the first unit is in build and due for delivery next year). 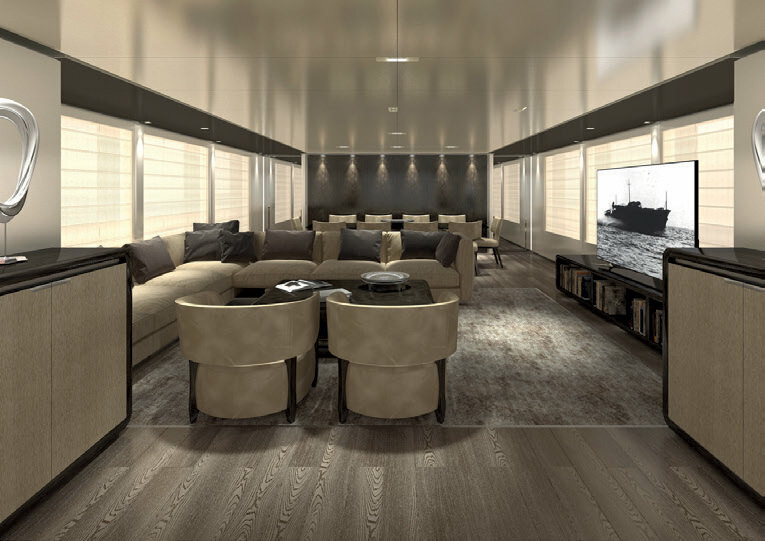 The ‘HT’ stands for Hard Top, which provides a welcome covered area on the top deck. 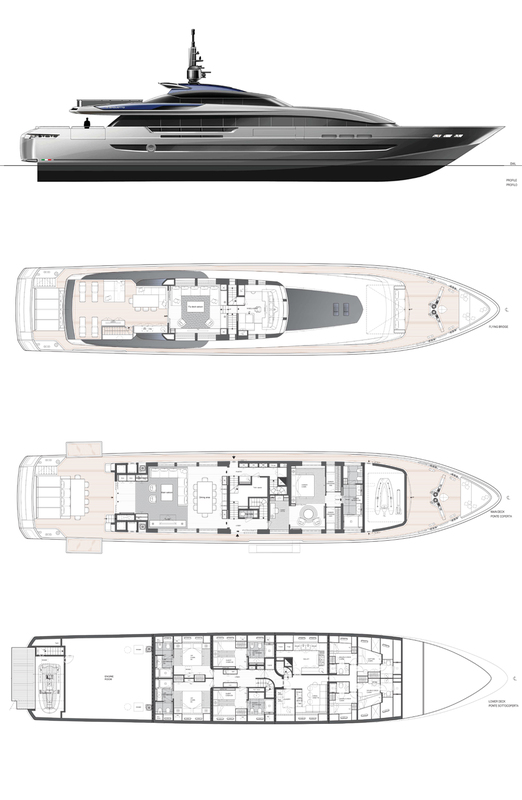 Furthermore, the shortened superstructure means there is ample room for sunbeds on the fly deck and main deck aft, which also features two fold- down side terraces. 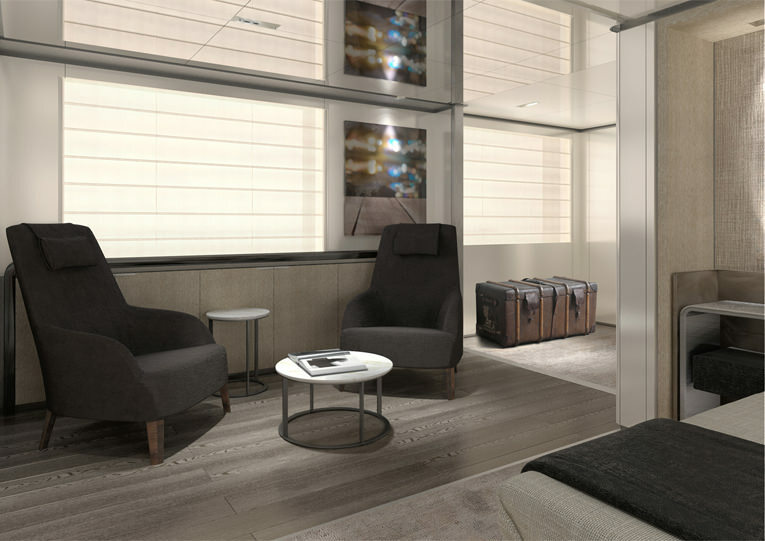 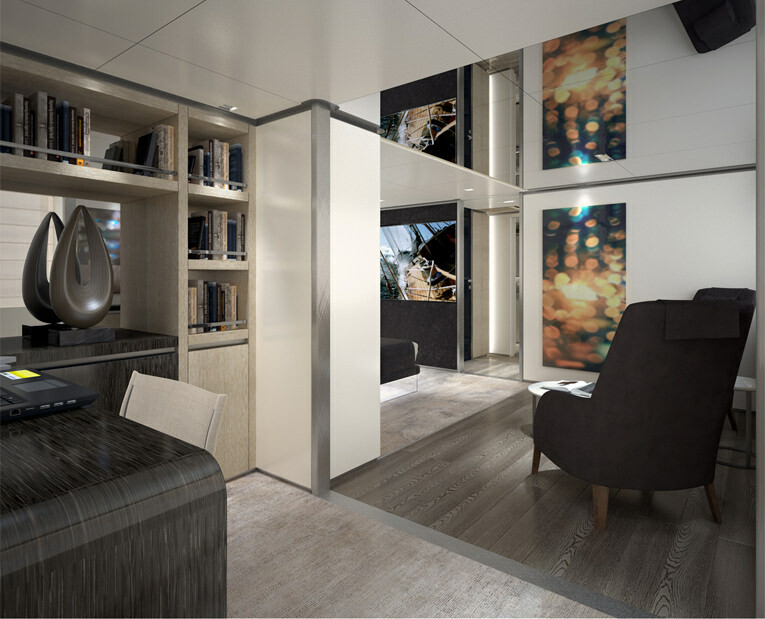 Spacious accommodation is provided for up to ten guests in five staterooms, including a master suite, VIP cabin and two twins with Pullman berths. 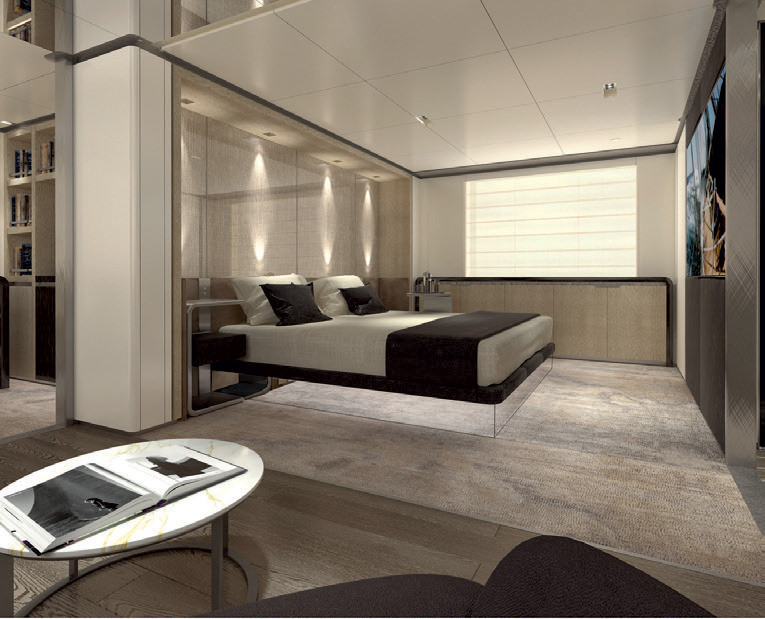 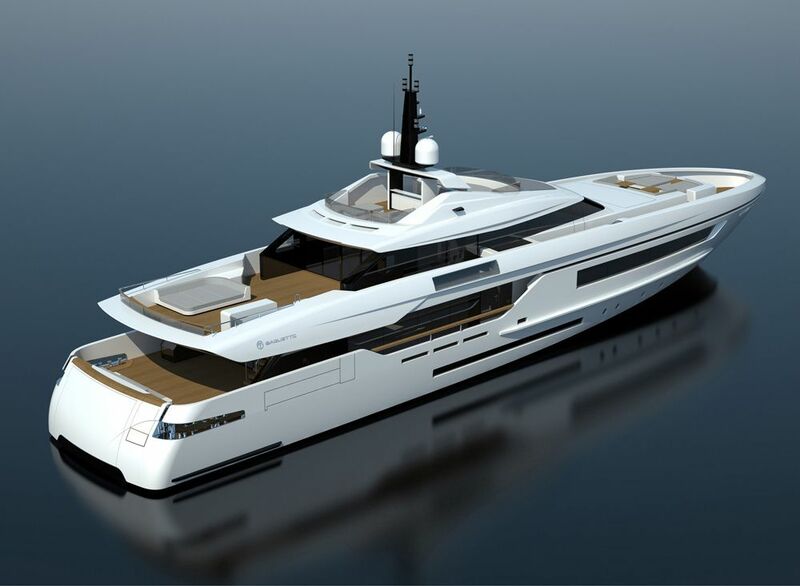 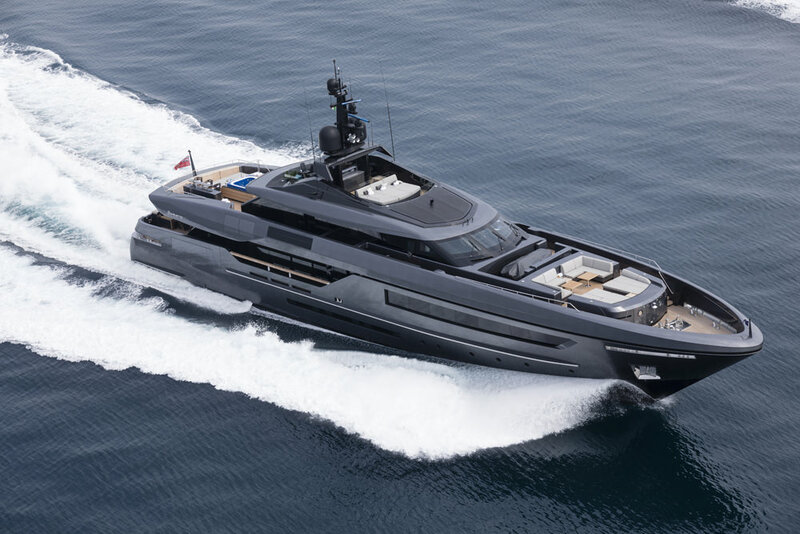 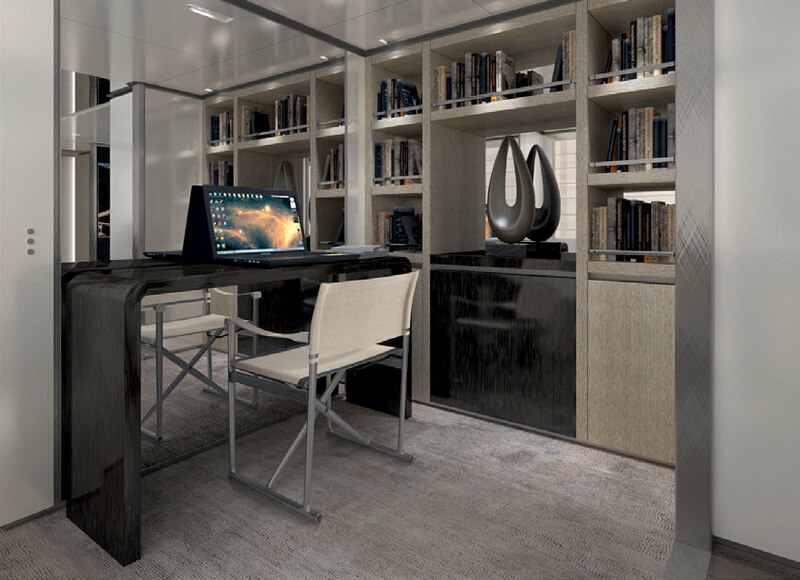 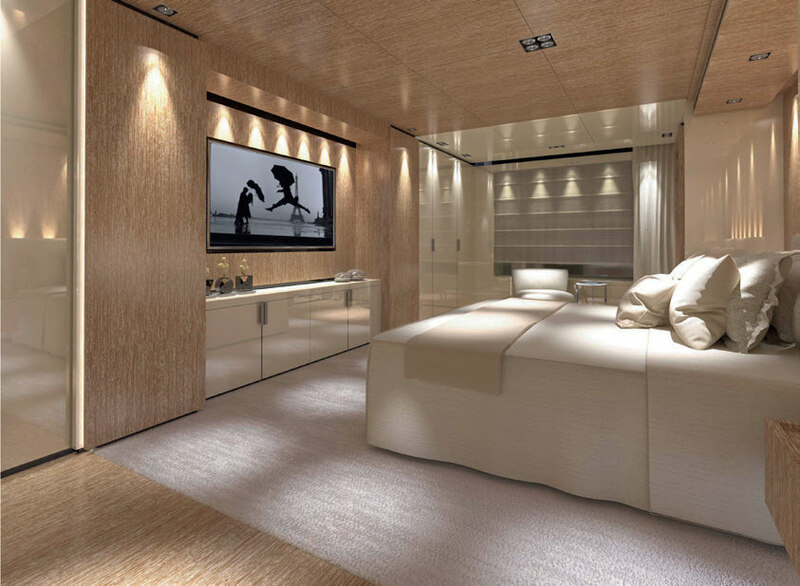 Both the 46m LONG RANGE and the 43m FAST HT have modern and sophisticated interior styling by Francesco Paszkowski in collaboration with Margherita Casprini. 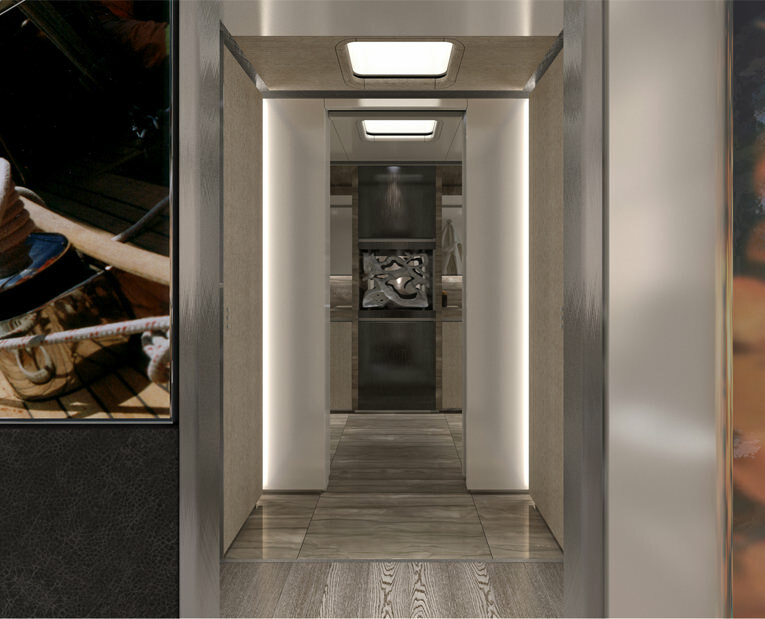 The result is two distinctive designs that have an original personality all of their own, but also a very recognisable Baglietto identity.